Looking for a new hangout spot where you can kick and relax with your friends or loved ones? Head to Foopo located in Malviya Nagar, Jaipur. The restaurant features charming interiors that seamlessly blends the old world charm with contemporary architecture. 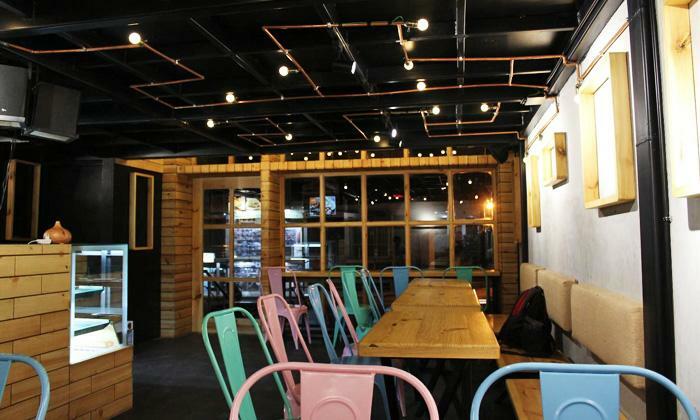 With wood and brick interiors, dim lighting that sets the mood and colourful decor, the restaurant is sure to put you at ease as soon as you enter. They serve a range of vegetarian dishes of North Indian cuisine to tickle your taste buds and fill you up. The staff is friendly and efficient and work to ensure that your dining experience is a memorable one.